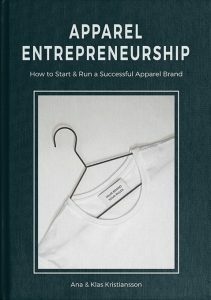 Are you thinking about starting a clothing brand? Are you already running an apparel brand, but want to revisit the steps involved? Are you already running a business in a different field, and want to expand into clothing? Clothing is a 3 trillion dollars industry, and over one trillion garments are sold worldwide every year. It is a huge market and it is understandable why someone wants to tap in. But the competition is fierce, so you want to do it right and you want to get noticed. If you want to learn how to start a clothing brand, then this article is for you. We’ll go over all the steps involved in starting and running a clothing brand, in what order you need to think about them what is important. Are you cut out for being an entrepreneur? Running your own clothing business isn’t a 9 to 5 job. It is not the hours you spend in the office that matters. What matters is what you produce. You are your own boss and you need to make it all happen. You will live and breathe your clothing brand, working 24/7. Everyone has great ideas. The differentiator is that the entrepreneur makes them happen. It will require you to put in the work and follow through on your dream. Are you cut out for this or not? Is it really what you want? Do you have an idea for a great clothing concept? Your clothing brand starts with that initial idea. Maybe you have strong design aesthetics you want to showcase. Maybe you can’t find the clothes you are looking for in the market. To improve your chances of succeeding with your clothing business, you need to connect your concept with a customer need. When you see that gap in the clothing market and you strongly believe in your idea, you should go ahead and make it happen. Determine why you are doing it, what your values are, and who your customer is. When you have decided on your clothing concept, you need to answer the question ”is it unique?” Examine your intended market and get to understand the other clothing brands and their offer. Search the web, visit shops, look at consumer behavior, and read relevant magazines. You want your brand to stand out in the competition and find your target niche. If another brand already has your idea, you will always be number two. Make sure you differentiate your clothing brand so that you bring value to the buyers. 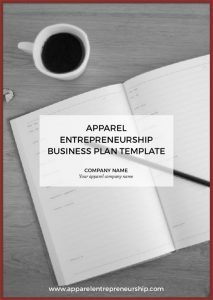 Create a plan for how you want to run your clothing business. Determine your business model, sales strategy, marketing strategy, need for money, plan for profit etc. A business plan is necessary if you want to bring other people on board, e.g. investors or partners. But primarily, the business plan is there for you. It forces you to ask yourself those tough questions and look at your business venture from different angles. The business plan is a living document that will change and evolve over time. Unexpected events occur and you will adjust accordingly. Put a lot of time and thought into your brand identity. There are many clothing brands out there so you need to make yours stands out. Create brand awareness and loyalty that connects your customers to your label. It is important that your branding ties together with your actual products. Get help With Your Graphical Profile & Logo. Visit 99designs. It takes quite some time to product develop the clothing collection, and therefore it also takes a while before you can start selling and generate revenue. Up until then, or when you are expanding, you need to look at how you will finance your business. Can family or friends help you? Maybe you have your own money to invest or a side income. There are special start-up loans as well as investors to turn to. Crowdsourcing is a great way to finance your clothing line without giving away parts of your business. Setting up a clothing brand requires a lot of blood, sweat, and tears. Can you do it all by yourself? Even if you can, is that the most efficient way to do it? Make sure to liaise yourself with talented and driven people that can help you out where you fall short. If you are a designer find a good business partner, and if you are a business person find a good designer. No one can do it all and you shouldn’t either. Learn about the typical roles you need to have on your team for your clothing brand. Read Who Do You Need On Your Team? Once you have set the foundation for your clothing brand, it’s time to start the product development and the process of making your garments. The first step here is to define your collection. Focus on your brand identity, your vision, and the products you wish to create. Make sure your collection is clear and has cohesion. Create a product range plan, which is a detailed written overview of your entire collection. It helps you keep track of product parameters such as style numbers and names, number of styles, colors, variations, and features. It also includes financial information and sales forecasting. You can start planning your collection in this document before you even design your styles. It’s a solid way of structuring the collection and keeping track of styles. Clothing design is the core of your business. If you don’t have the skills, you should bring someone on board that understands clothing design, apparel construction, and product development. Clothing design is not a one-off gig, but needed all through your apparel business. The designer can start sketching when you have structured and defined your collection. Get back to the inspiration and the brand image, and the customer you want to have. The styles should fit in with the vision and identity of your brand. The designer needs to make great tech packs so you can carry on with your product development. Learn more about designing, how to fit and comment garments, as well as tech packs and BOM templates in the Member Zone. Finding factories, materials, and accessories is called sourcing. Materials is a science by itself. If you know your price points, performance requirement, and quality level, it will help you narrow down your search for the right materials. Accessories can be cords, zippers, pullers etc that you want to include in your garments. Then you need to find a factory that suits your needs, can produce your styles, and believe in your concept. The best way to source is to visit clothing trade shows where you can meet suppliers and see what they have to offer. The Apparel Entrepreneurship members have access to contact information to over 400 material suppliers and manufacturers. Save yourself some time, search the databases, and start contacting manufacturers for a match. How will you price your garments? When starting up you can take a first look at the costs and the prices for your styles and clothing production. Once your collection is defined and you have sourced materials and found factories you will have a better understanding of the costs. Does it add up? Will it be profitable? Review all the posts in your budget and see how you can recalibrate it. In the end, you want to live and work, doing what you love. You don’t want it to be an expensive hobby that you pour money into. To help you keep track of all costs associated with producing each style you use a costing sheet. Here you note down the costs of all components in the garment and finally, you calculate the retail price of the garment. Adopt the habit of filling out a costing sheet for each item already from the start. It will be a vital tool to run your business financially. Your pricing strategy will determine how you will price your products. You can base it on target cost, your margin or your brand position. This is a very crucial part. Even though you have great designs on paper, you need to transform them into garments that look and feel the way you want. Based on the tech packs you need to find a good pattern maker, which isn’t easy. The pattern is made in your wanted sample size and will later be graded to fit several sizes. With the pattern, you will start making your prototypes. In between every prototype, you will measure, fit, and adjust the pattern to improve your garment. Typically you will need 2–3 prototypes per style before you have a sample ready to show and sell. Once you have arrived at your final prototype, you can start planning the bulk production. Discuss this with your factory as early as you can. They need to plan in your production in their schedule, which they often make one year ahead of time. The manufacturers need to know how big your production will be, the number or styles and sizes per style you want to make. We suggest you write an agreement with the manufacturer stating delivery times and quality requirements. You can find templates for terms of agreements in the member zone. Having an agreement in place makes sure you have clearly understood each other. It can be very expensive and devastating for your business if you manufacture a large clothing bulk production that is wrong. When your bulk production is ready you need to get your garments to your customers. First, you need to transport the garments from the manufacturer to e.g. your office or warehouse and then to your customers. Your customers can be retailers, distributors, or end consumers. Take a look at your agreement with the supplier to see what is included in the deal and what you have to sort out yourself. If your price is FOB, then there is no shipping included, but if your price is COGS then the shipping cost is already included. When arranging your transport, talk to different logistics companies and see who suits you best, and works with your values and business model. Let the world know your brand’s story. Marketing is your products, your meetings, your communication, and everything you do in you business. Be honest in everything you do, let the customers understand why you do it, and what your brand is about. You want to get your message out. Tell the world about your products and what differentiates them from the competitors. A first reaction is often to bring a marketing person on board, but remember that no one knows and understands your brand as you do. You are your brand’s number one marketing person. It doesn’t matter if you have the best products in the world with the best story, if no-one buys them. In the end it all comes down to sales. You want your garments to sell, so you can reinvest and develop your collection and keep doing what you love. If you work with retailers, the traditional way is to show at trade fair and to take your collection in garment bags and visit the shops. This way you end up having multiple mini-presentations and demonstrations of your collection. If you are selling direct to consumer online, you need to set up an online store. For a quick, easy and professional webshop solution, take a look at Shopify. The manufacturer usually has minimum quantity requirements for producing your garment. This should at least be your selling target. Sell and collect your orders to meet those minimums. At the same time, keep track of your minimum requirements for materials. How much fabrics are on each roll that you buy? You don’t want to buy too much fabric that in the end turns into left over. A good recommendation is to only produce the garments you have orders on. Don’t stock up, unless you have an online business, and therefore need your own stock. Take care of your customers. You make your garments so that your customers can have them for their intended need. Don’t disappoint them, put yourself in their shoes and just see how you can help them. How will you handle complaints, returns, delays? Talk to your customers, put your ego aside, and use the information to make even better products in the future. Learn More About the Training, Advice, and Support you need to Plan, Create & Grow a Profitable & Successful Apparel Brand.